How design leads to better job offers. It used to be that job search design ended with your choice of Microsoft Word's resume templates. Not anymore. 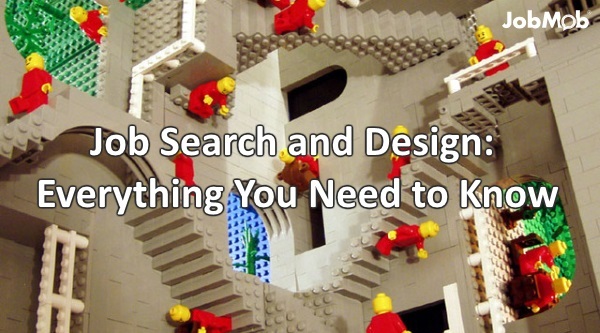 Are you currently using design in your job search? Do you actually need design on your job search? You might not think so, but the lack of a design decision is a design decision in itself. Here's why design matters on the job search and how to take advantage. Like most job seekers at the time, I never gave design a thought. I just took a clean Word template and filled it in. I received a lot of compliments back then for this CV – vouching for its creator all the way – both from recruiters and other job seekers, and one of my army friends eventually copied it too, getting a job at Google Tel Aviv with it. The feedback really surprised me. Weren't the resume's experiences and achievements most important? Why did the resume design matter, as long as the content was presented clearly? Everything has a design. It might be a poor design that won't win an award or appear in someone's portfolio, but it's still a design. However, if you consciously think about design and go on to choose good designs for your job search, you'll benefit almost immediately. Recruiters want all of these qualities for their employees. Combined, they make you a much more appealing candidate. Good design choices means designs that leave the right impression, require little maintenance and are cost-effective. With that in mind, it's important to understand which kinds of design are most likely to have an impact on your job search. This is arguably the first kind of design that comes to mind in a conversation about job search. Inspired by the feedback I received for my own resume's design, I posted 36 Beautiful Resume Ideas That Work in March 2008. For many, many people, this was the first time someone had brought to their attention that resume design was a real thing that could help their job search. That article has since been viewed over 6 million times, shared over 300,000 more, and inspired many copycat articles including my own followup, 38 More Beautiful Resume Ideas That Work. People shouldn’t use graphics, colored paper, crazy fonts, etc. just for the sake of making a resume memorable… This isn’t public relations where all publicity is good publicity. A resume should only leave a positive impression…. A candidate with great skills and achievements will not appeal as much as a candidate with great skills and achievements that are propelled by a great design. A Ferrari engine will have much more impact in a Ferrari than in a jalopy. It's not about color. 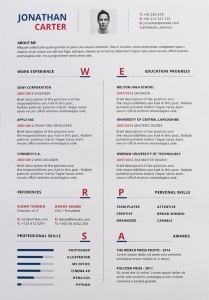 There are plenty of terrific monochrome resume designs that look great both on screen and in print. The bigger message here, that applies to all types of job search design, is that your aim is to impress. Unless you get lucky, you're more likely to do just that if you research your audience – recruiters and employers – to learn what impresses them, and then impress them. Where to get resume designs: Emske, the designers of the JobMob logo, have great resume templates. 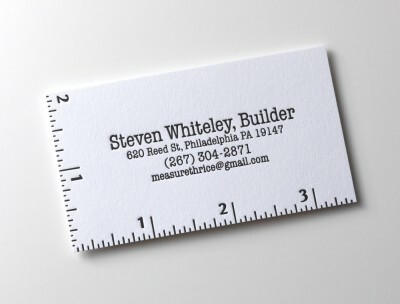 Another common place that job seekers encounter design is on business cards. Job seekers should have their own business cards to exchange at networking events, conferences and parties. Creative business cards that are relevant to your profession are particularly memorable. Where to get business card designs: I use Zazzle for my own business cards. They have many, many templates to choose from (and you can also design your own) before getting them printed and shipped to you, even internationally. And they always seem to have discounts available. Most job search takes place online, but that just means that in many industries, taking things offline will stand out even more. Little things such as handwritten calling cards, followups and thank you cards, while they won't get you a job on their own, are icing on the cake and particularly impressive when on your own letterhead. Snail mailing or dropping off a cover letter, signed by you, with a copy of your resume (or link to it online) and a brief work portfolio can also work well. 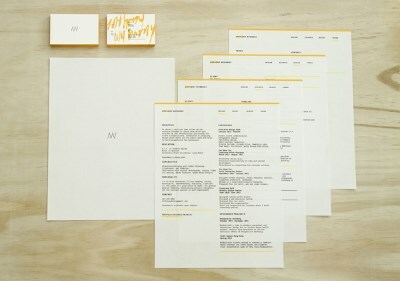 Where to get stationery designs: here again I recommend Zazzle for the wide selection and DIY options. A work portfolio is a compilation of your relevant projects and achievements to show off to recruiters, building your credibility and value. For anyone in a visual field such as design, photography or fashion, this is a no-brainer, and the one page work portfolio pictured is just one way to show off your work. However, if you're not in a visual field, a work portfolio still makes sense. It can include positive reviews, recommendations, articles about you or your work, scores, certifications and anything else that can boost your candidacy. Just print them out and carry them in a clean folder or slim case (so they don't get wet in the rain, or bent out of shape). The portfolio can also be virtual, such as a PowerPoint/SlideShare presentation, a section on a personal website, or simply a collection of files on a dedicated USB key that you bring to interviews. Where to get work portfolio designs: Graphicriver has many at reasonable rates, mainly aimed at designers though. There are many reasons why having a personal website (or at the very least, a personal page) is a good idea for a job seeker. Here are a few. I used my blog to help me find my current job… by creating a specific landing page… that targeted those skills that seemed most relevant for Align [the employer who hired him]. When I applied for the position, having a URL that showed the company’s name helped create a connection with the company and the location while also showing off my technical and marketing skills. But having your own site isn't enough; you need a design or theme that brands you properly and allows you to show off your achievements and qualities. You also need your own domain name, both for the site and to have a personalized email address. Branded.me is a one stop-shop that's easy to use and requires no technical skills to create a glorified online resume of a website that shows off your experience, achievements and skills. 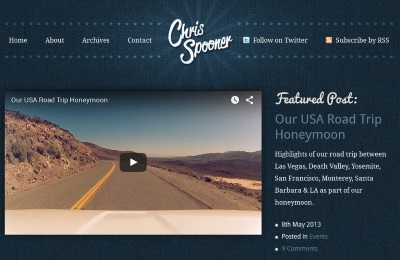 If you want the same AND a blog, WordPress.com is a freemium service with many gorgeous, professional-looking themes to choose from (such as these portfolio themes). And if you have the skills and want more control, WebHostingBuzz has many plans that make hosting WordPress sites easy, and with them you can use any WordPress theme you like. MyThemeShop, whose Schema WordPress theme powers JobMob, has great free and paid themes (use coupon ‘jobmob30' for 30% off) and their support forums rock. All three of these services let you use your own domain name (the first two, for a fee). Namecheap is the domain registrar I've been using since opening JobMob in 2006. Good prices, terrific support and like Zazzle, they tend to have coupons available, especially for new domain registrations. Having a personal logo is a nice touch that used to seem like something only graphic designers did, and it's actually not that hard to make your own, or at least get inspired about what to ask from a designer. 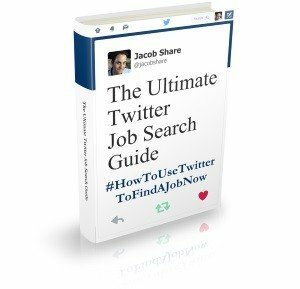 Add it to your resume, business cards and stationery, social media profiles… anywhere that you want people to recognize you. Where to get personal logo designs: Mark and Graham's Monogram Maker is a free tool for making basic but elegant monograms that you can use as a personal logo. Recruiters are going to google your name, usually when running a background check on you (so you better you do it first), but they might also come across you while searching for candidates. Since the major social networks are all trusted by Google, their profile pages are going to be among the first results, meaning that your social media profiles are going to be seen. All the more reason to make sure they look great, and make you look great in building your personal brand as an expert or an achiever in your field. Where to get social media profile designs: the major social networks limit profile design elements to images and colors for the most part. With The Social Image Resizer Tool you can automatically resize an image for a given place on a given network, such as Twitter icon (avatar) or Facebook cover photo, based on the social network's maximum allowable dimensions so that your image will look its best. Personal brand design is the personal version of Identity Design, a type of design that covers all aspects of a brand's identity. It can include all the design types mentioned above and more: avatars, mobile apps, backgrounds, wallpapers, utensils… your resources and your imagination are really the only limits. For some job seekers' short-term plans it's overkill, but there's no question it makes a good candidate look great when a good design is harmonized at every turn, reinforcing its message about you again and again. If you're going to adopt more than one design type for your job search, a personal brand design is what you should be looking for. Where to get personal brand designs: if you have a personal logo, you can try designing your own personal branding by looking for similarly-styled templates and themes of the above design types and then adding your logo to each choice. The logo will link your choices and harmonize your personal brand design. Without such a rule of thumb of using a personal logo as a common unifying design element, you're better off getting help from a designer. 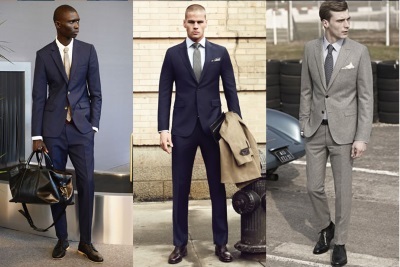 Men are typically clueless about how to dress well for job interviews, and I count myself among them. That doesn't mean that women can't use help either, though. Even if style is not the same thing as design, it's definitely something that deserves thinking ahead. Before a round of interviews, you might want to consult a stylist on how to best take advantage of your wardrobe (or not) so you can dress for success. Where to get style designs: While there are many blog posts and magazines to inspire you, they can only give you general ideas without knowing what you've actually got in your closet and can afford to add. If that's not good enough, you'll want to talk to a stylist. Unfortunately, there isn't much middle ground here. Getting a foot in the door is something a lot of job seekers struggle with, and some will even try sending packages with a single shoe to recruiters as (what used to be) a clever way to do so. I applied for a job that was “detail oriented.” I sent my resume along with a highly complex origami eagle I had made from a folded square of paper [pictured above]. I got an interview, and then a second interview, and then I got the job! However, not everyone is as creatively-inclined as Ben is and even if you are, it can still be helpful to brainstorm with someone else for a second opinion. Where to get creative marketing designs: what I said about where to find style designs applies here too. If you can get inspired and adapt something you saw online or read in a book, great. Otherwise, get advice from someone creative. Regardless of design skill level, once you've chosen some designs, get at least a few people to critique them before using them in your job search. This is the design equivalent of having someone proofread your resume; it's always a good idea, no matter how good a resume writer you are. Don't embarrass yourself unnecessarily. If you have a captive audience anywhere – friends, blog readers, fans – show them what you're doing and ask them what they think. 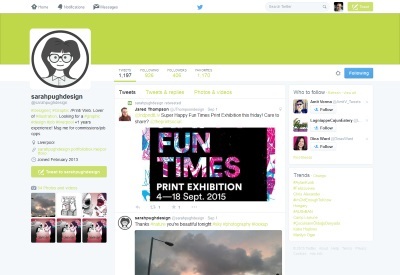 And when I say ‘show them', I mean upload or pin images to your feed, profile or blog and ask. For the new JobMob logo alone, I blogged 3 separate times and held 2 rounds of polls, each of which was mentioned on social media too. Quora and Yahoo Answers are popular places for any question you can think of. Quora has a Design Critique and Advice topic. Only a few hundred people follow it, and they don't always respond to new posts, but it's worth a try. Design critiques on Yahoo Answers tend to appear in their Drawing & Illustration and Other – Visual Arts categories, typically getting a handful of responses, which could be all you need. Don't ask a designer for free consults or critiques, unless they're offering them. If your own designs aren't getting the reactions you expected, or if you'd just prefer to get more skillful help, it's time to consider hiring a freelancer. Fortunately, there are now options for all budgets. If you want to transform your job search and start getting the benefits of good design, this free report will be a big help. 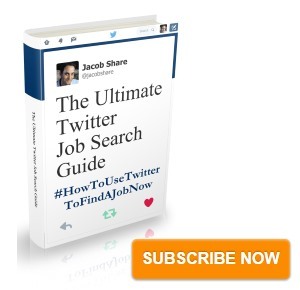 Subscribe to JobMob via email and follow me on Twitter for designs on getting jobs faster.